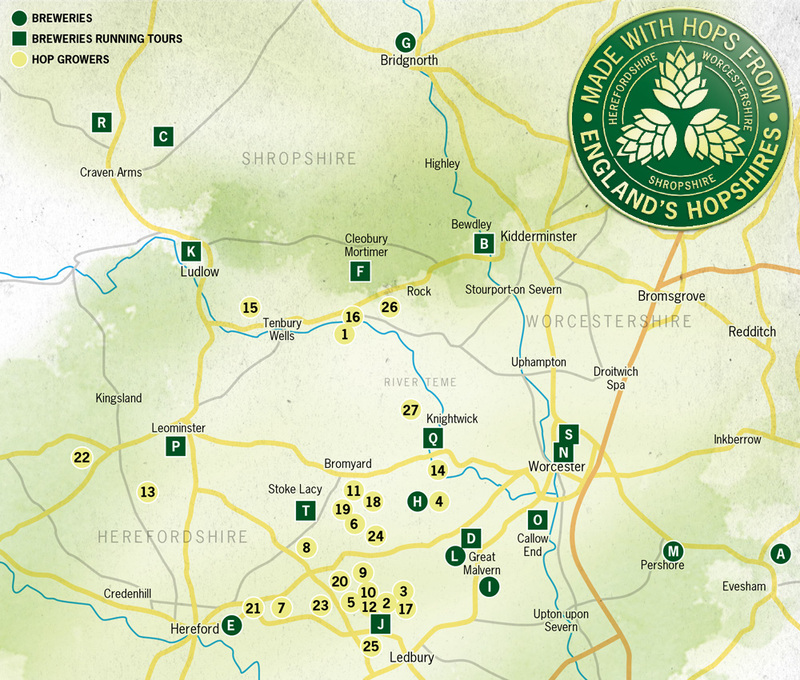 We believe that the hops grown in the Hopshires – and the growers that produce them – are the best in the world. The region’s unmistakable hopyards feature lush green avenues of hopbines that loom over our valleys in the summer before seeming to disappear overnight when the hops are harvested in September and October. Hops that are distinct to British beer – from venerable varieties such as Fuggles and Goldings through to newcomers including Sovereign and First Gold – are grown here. The nation’s brewers (and lovers of a pint of truly British real ale) therefore depend on a flourishing hop industry in this area. Fortunately, growers in the Hopshires are early adopters of the cultivation techniques and hop varieties needed to meet the challenges that are likely to arise in the future. 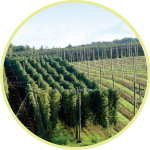 However, to ensure that the region’s hopyards and hop-growing knowledge survives and thrives, we need to celebrate and support our hard-working hop growers. So raise a glass of great British beer, and drink to a successful future for hop growing here in the Hopshires. Please note: We love that you love hops, but for reasons of safety and disease control, most farms do not allow visitors. So, to see Hopshires hops in action – and to taste the results – pay visit one of the many breweries that run tours.